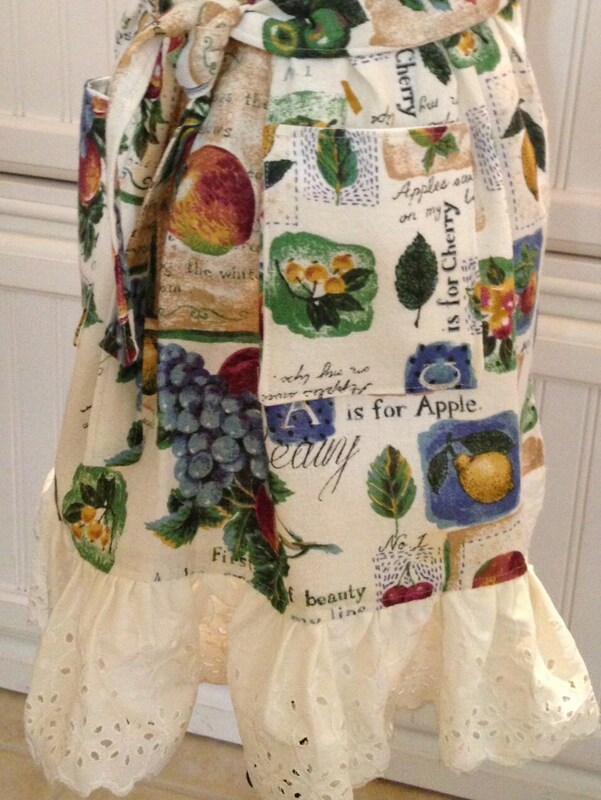 A beautiful bountiful vintage cotton tablecloth repurposed into a mommy and me apron. 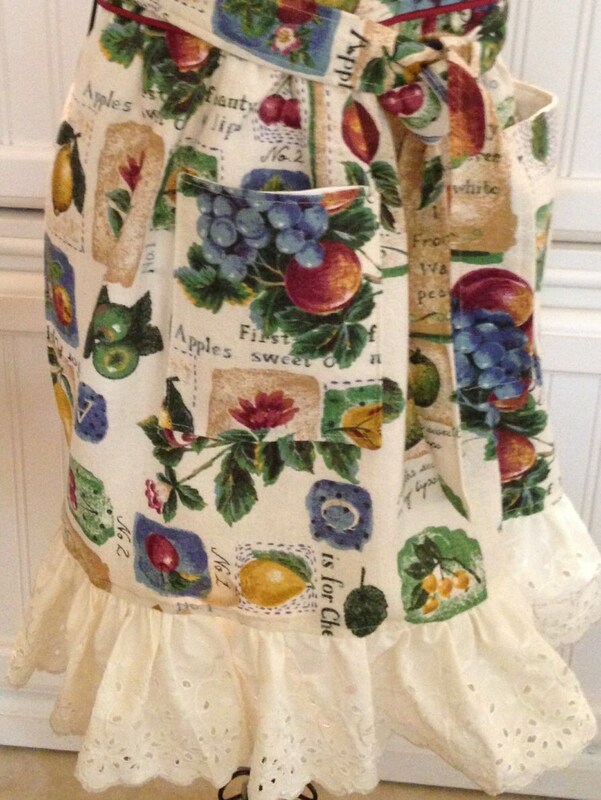 This listing is for the apple of your eye little girl. 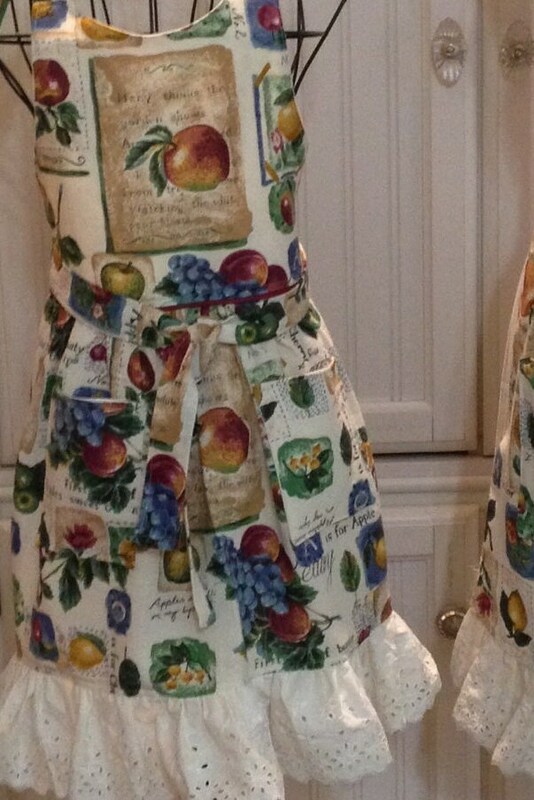 The apron is a sturdy working apron with burgundy trim at the waist and off set neck tie to make a bow at the side The bodice was fussy cut to display a cute garden rhyme. 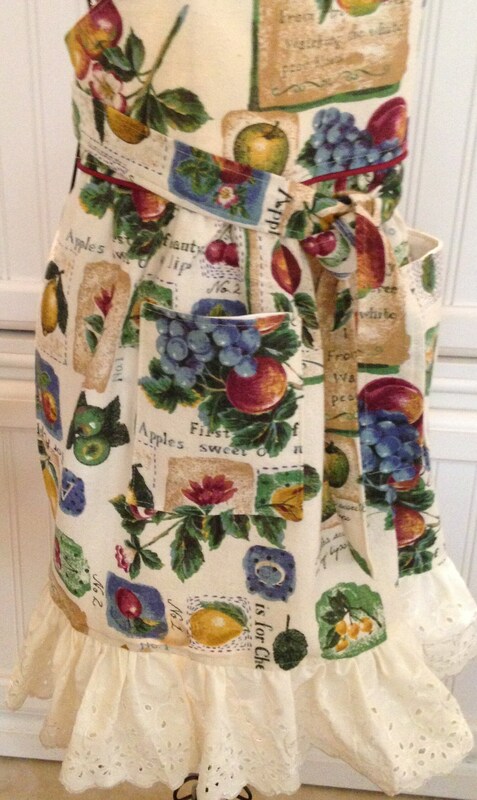 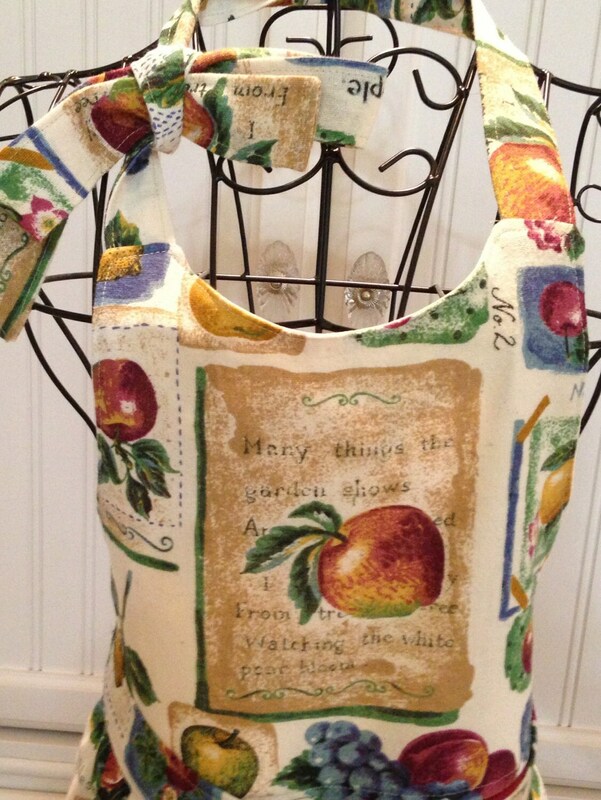 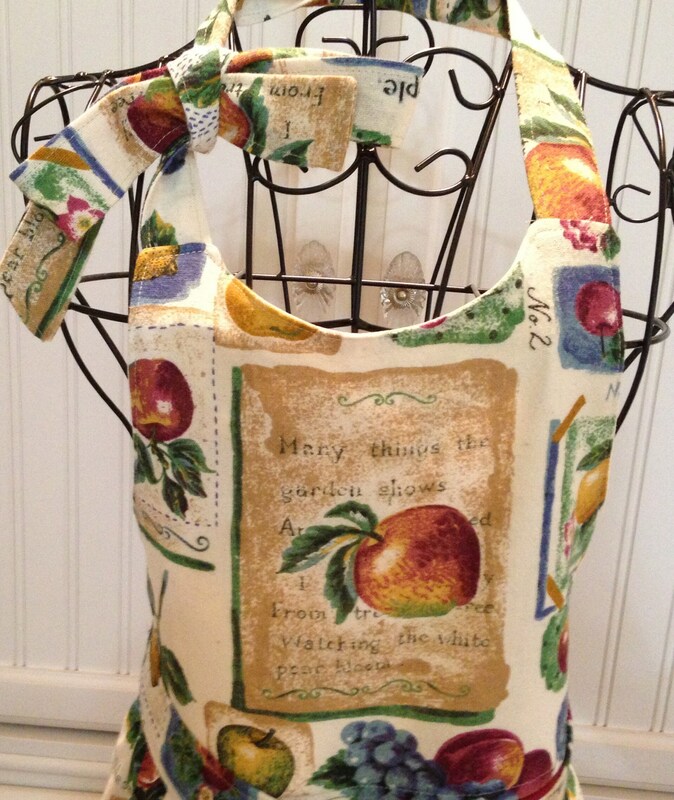 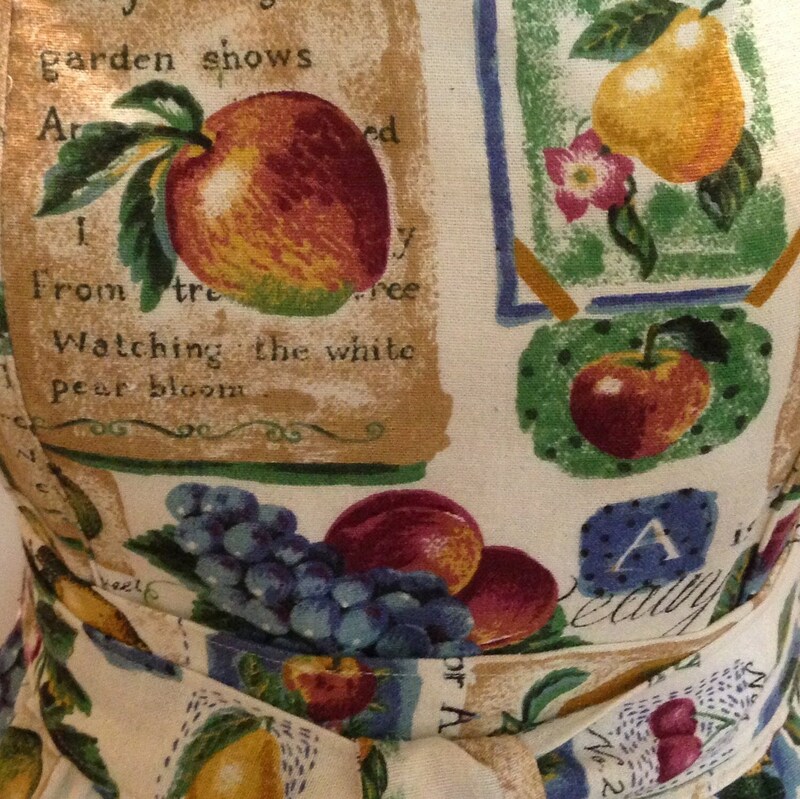 Flowers, apples, pears, and grapes along with words and sayings are printed on this pretty apron. 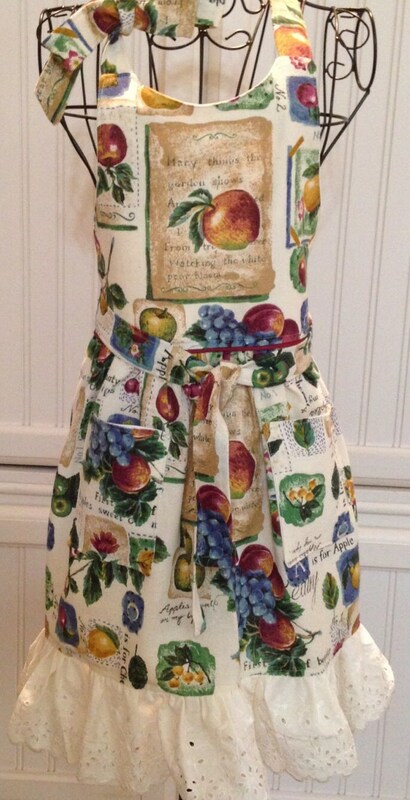 There are two generous pockets on the sides. 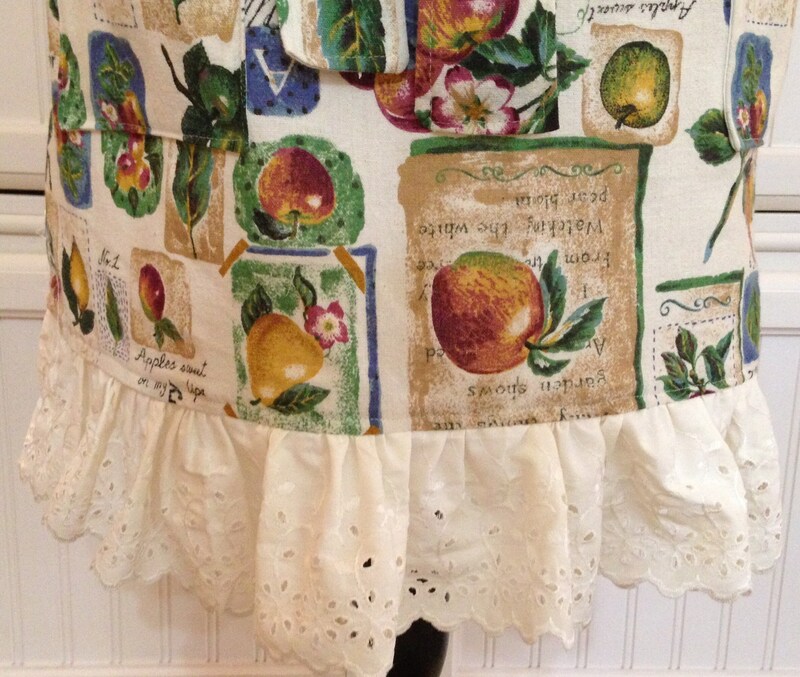 The ecru eyelet lace ruffle adds a special feminine touch to the hem. 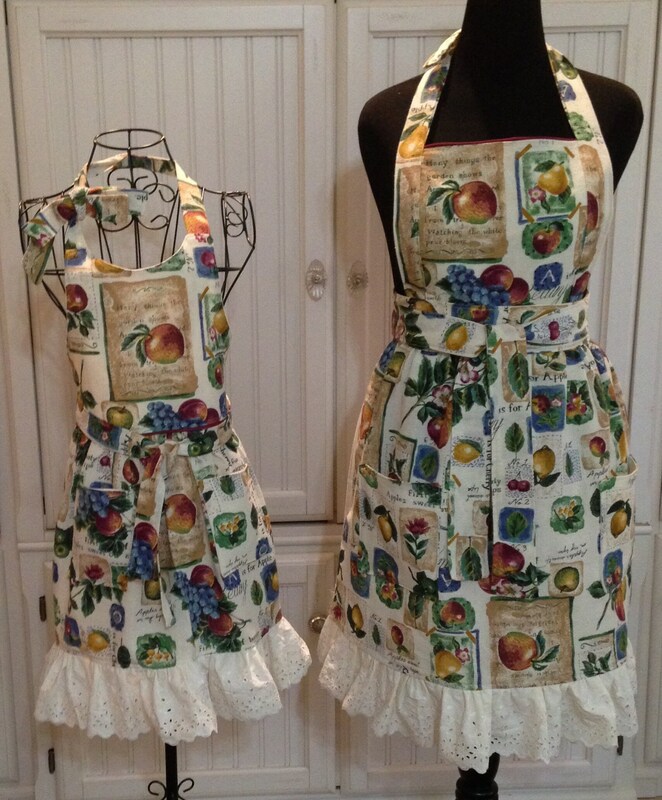 See the separate listing for the "mothers" apron of the Mother daughter apron set.